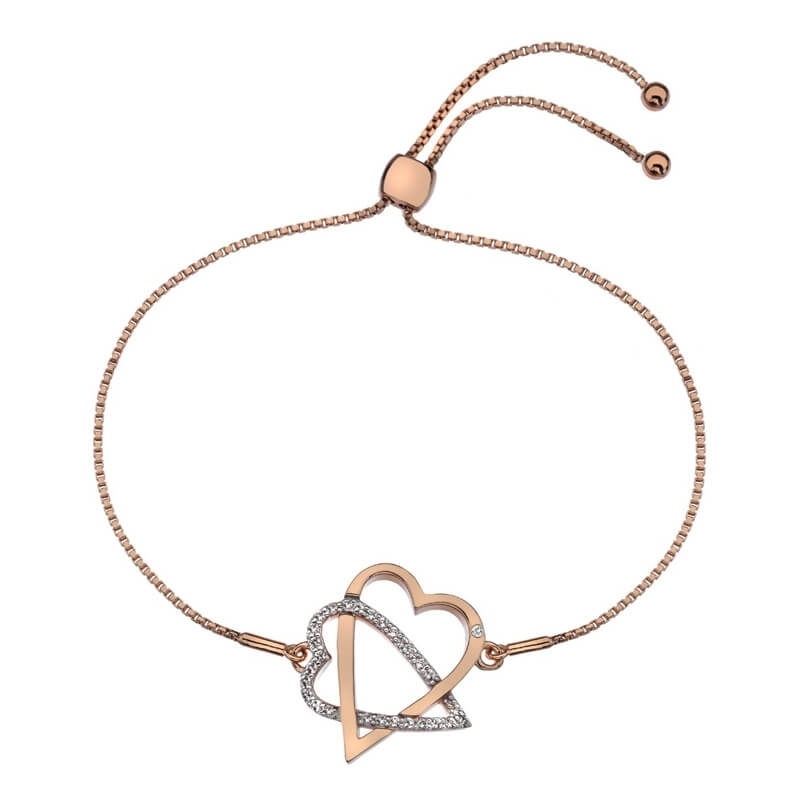 Hot Diamonds Adorable Bracelet - Rose Gold Plate Accents. Made from rose gold plated sterling featuring a genuine diamond and 28 beautiful white topaz stones. The bracelet length is 24cm and it fastens via a sliding clasp.